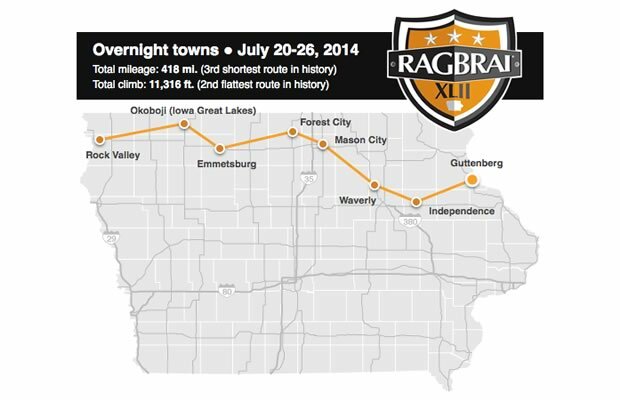 RAGBRAI stands for Registers Annual Bike Ride Across Iowa. Held beginning in 1973, RAGBRAI is the oldest and largest bike-touring event in the world. Riders from all over the US and many foreign countries ride from the West side of Iowa to the East side of Iowa. What is happening at Okoboji Brewing Co. for RAGBRAI? 2,100 square feet of shaded area! Free Water to fill up your water bottles with! Plenty of Bike, Car and Bus parking available!